Get them at the shop and sticker them all over your town! 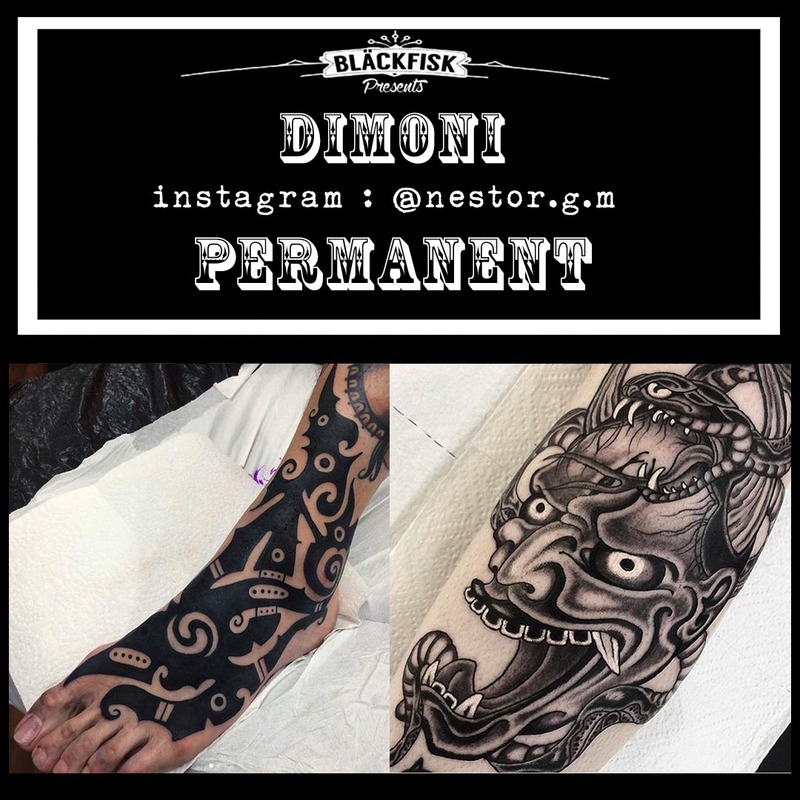 Our home boy Nestor aka Dimoni just moved to Berlin and will be joining our crew permanently until further notice. 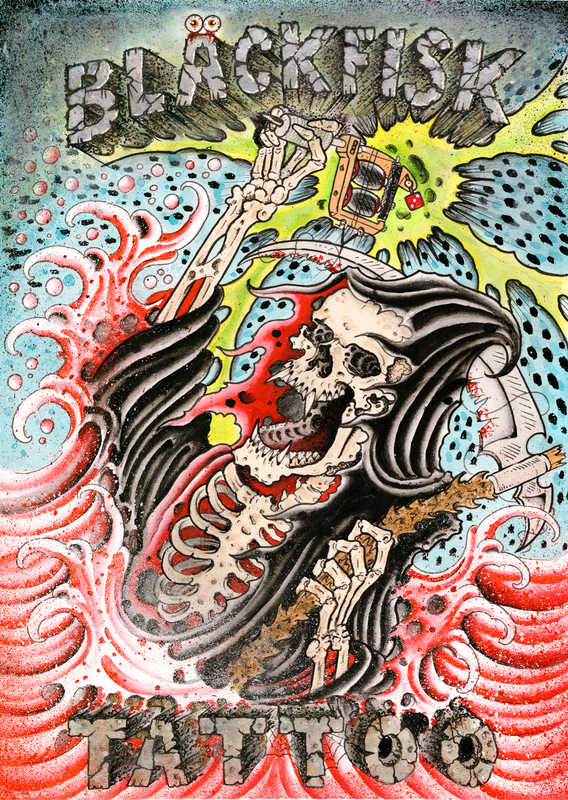 Check out his wild traditionals, borneo tribals and his own graphic version of "ignorant tribals"! 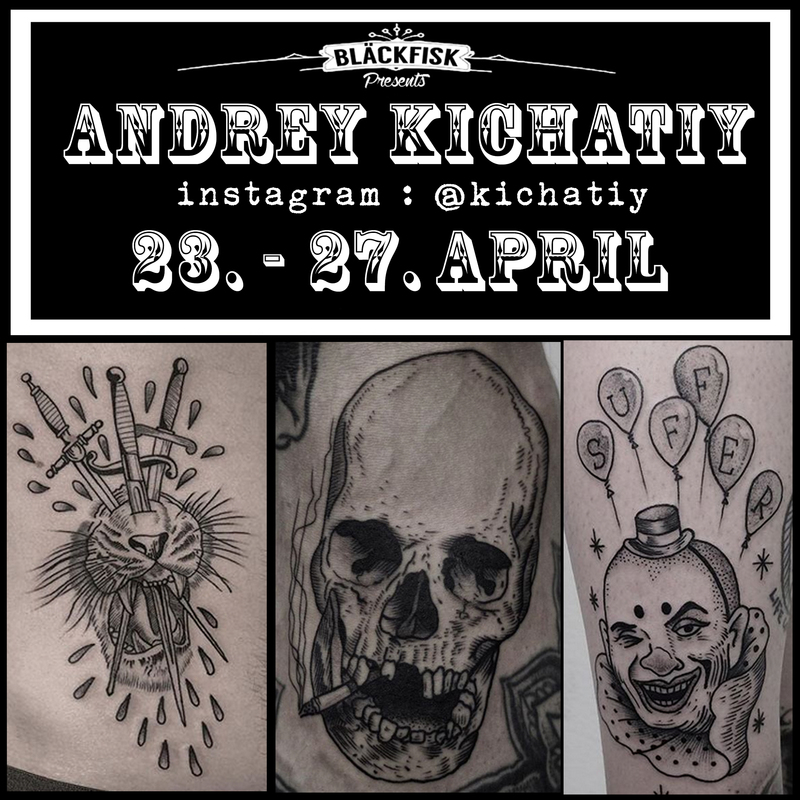 You can contact the shop or him directly for appointments, forhis Instagram just click on the image! 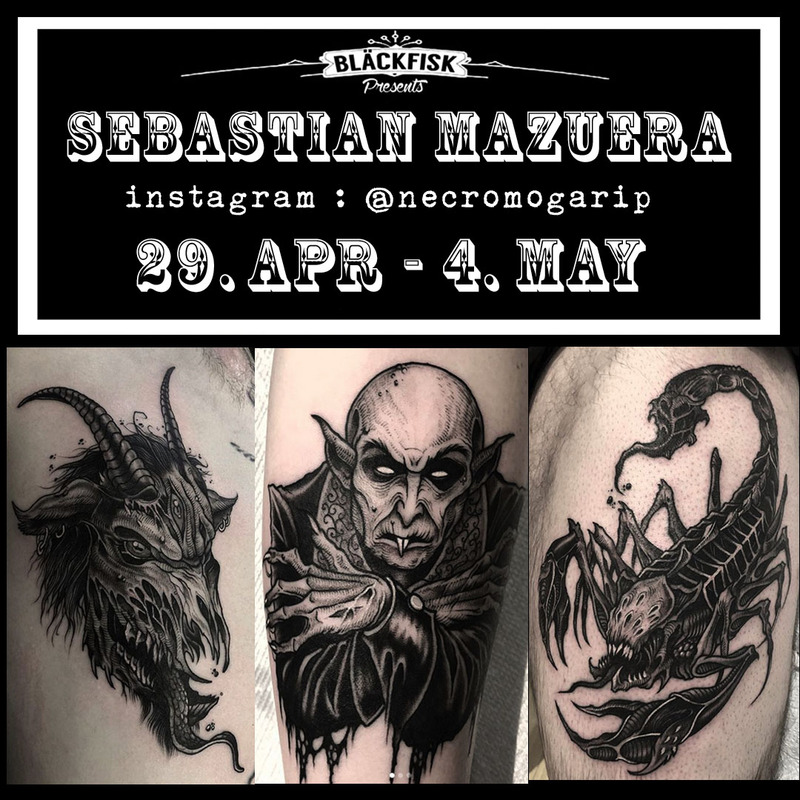 Seabastian Mazuera from the darkest depths of seatle is returning to us! For more info click on the pic! 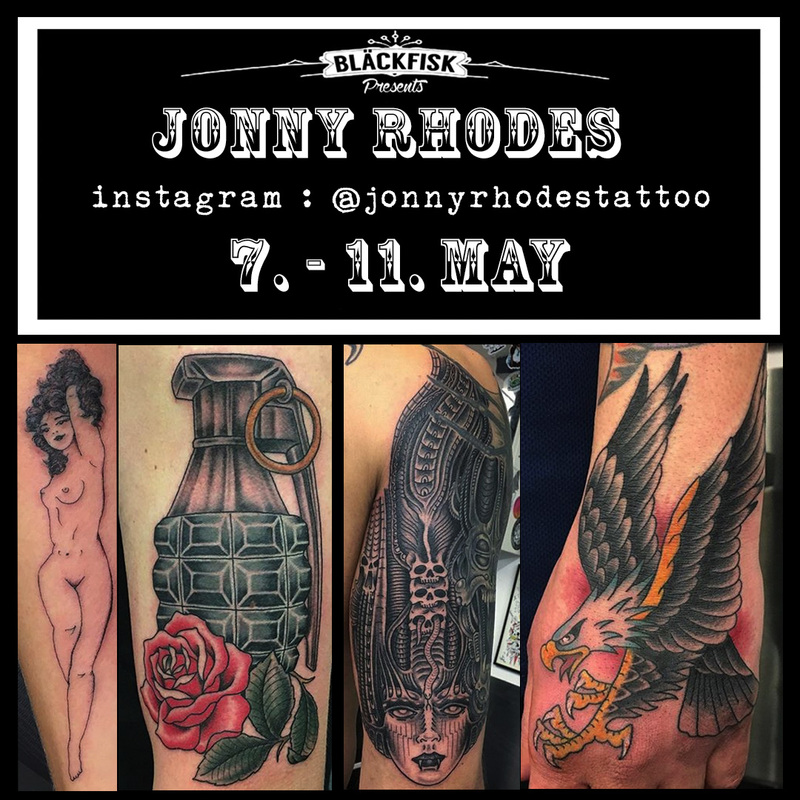 Our home boy Jonny is back in town, get your favorite sci-fi or cartoon heroes or creatures May seven to eleven! Click the pic for more sick pics! 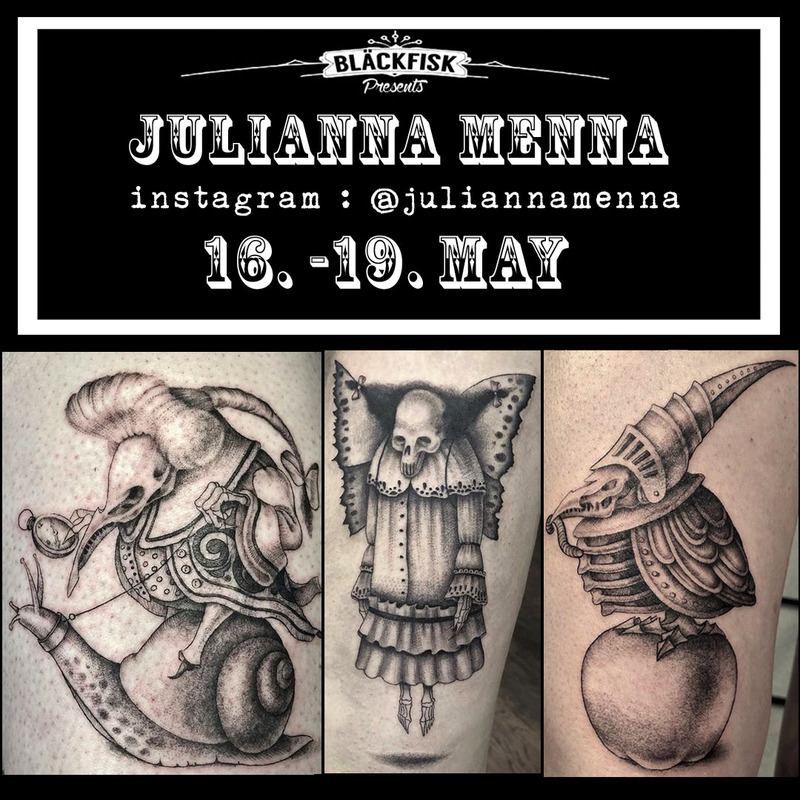 All the way from NYC/ Philly we have Julianna Menna with us in May. 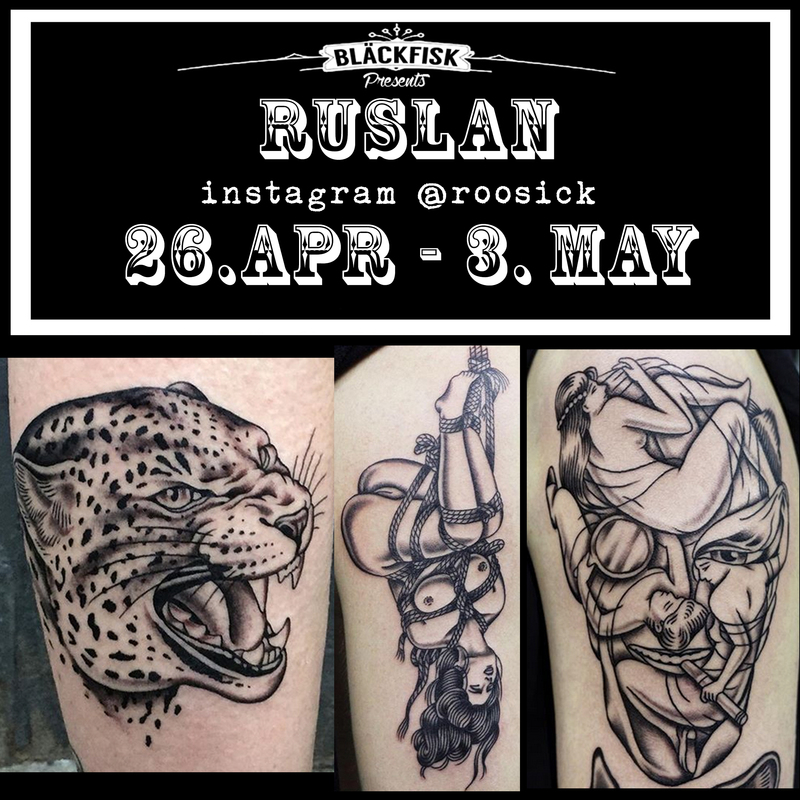 Check out these cute and creepy fineline and single-needle creatures, get your ghoul on and contact her to book in! For her Instagram with more pics just click on the picture! 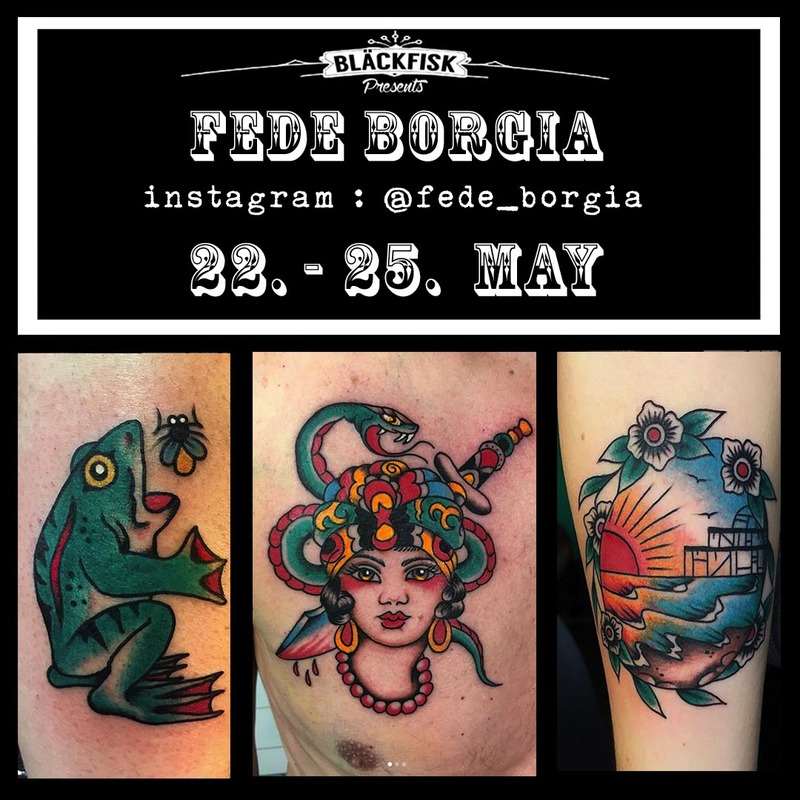 Straight outta Brighton UK our dear friend Fede Borgia will come back to us in may with a bunch of designs! Get at her for appointments. 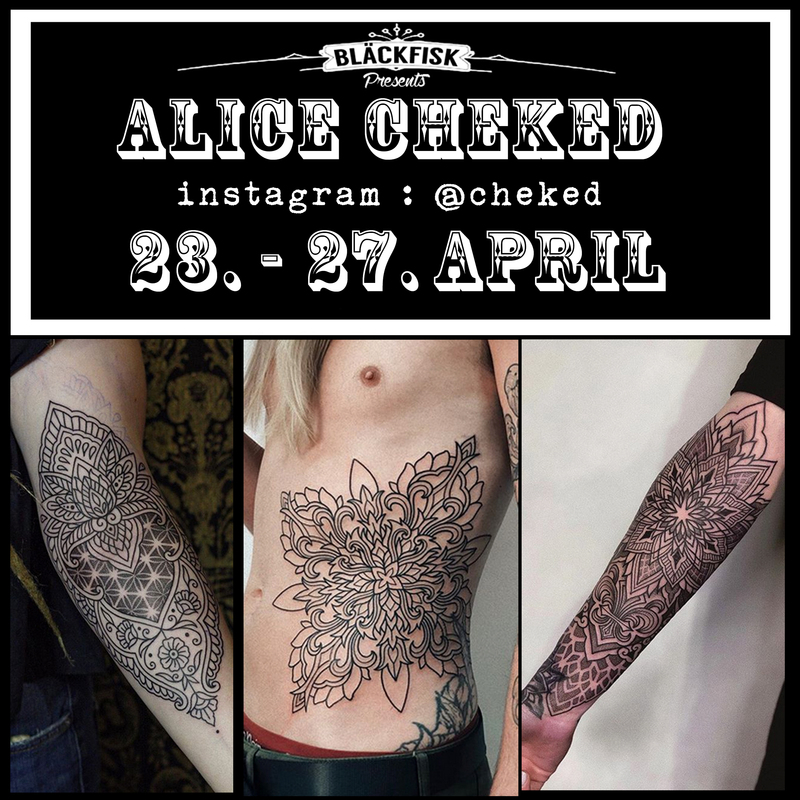 For her Instagram with more pics just click on the picture!